Compte rendu publié dans Acta fabula (Octobre 2017, vol. 18, n°8) : "Dossier : Les Conditions du théâtre : un état de la recherche" : Maxime Pierre, Sénèque et la pantomime : le spectaculaire retrouvé ? London, Oxford, NY : Bloomsbury Publishing, 2014. Pantomime was arguably the most popular dramatic genre during the Roman Empire, but has been relatively neglected by literary critics. Seneca's Tragedies and the Aesthetics of Pantomime adds to our understanding of Seneca's tragic art by demonstrating that elements which have long puzzled scholars can be attributed to the influence of pantomime. The work argues that certain formal features which depart from the conventions of fifth-century Attic drama can be explained by the influence of, and interaction with, this more popular genre. The work includes a detailed and systematic analysis of the specific pantomime-inspired features of Seneca's tragedies: the loose dramatic structure, the presence of “running commentaries” (minute descriptions of characters undergoing emotional strains or performing specific actions), of monologues of self-analysis, and of narrative set-pieces. Relevant to the culture of Roman imperial culture more generally, Seneca's Tragedies and the Aesthetics of Pantomime includes an outline of the general features of pantomime as a genre. The work shows that the influence of sub-literary-genres such as pantomime and mime, the sister art of pantomime, can be traced in several Roman writers whose literary production was antecedent or contemporary with Seneca's. Furthermore, the work sheds light on the interaction between sub-literary genres of a performative nature such as mime and pantomime and more literary ones, an aspect of Latin culture which previous scholarship has tended to overlook. 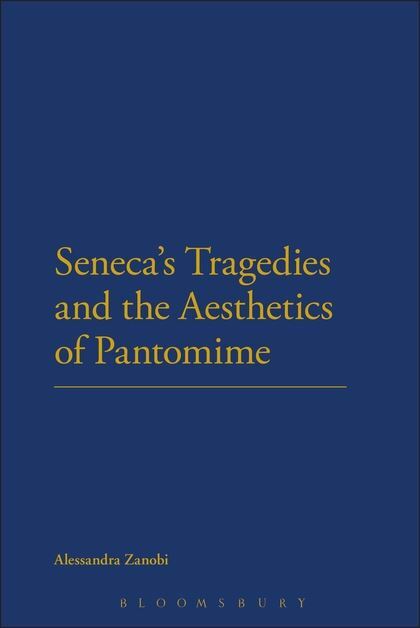 Seneca's Tragedies and the Aesthetics of Pantomime provides an original contribution to the understanding of the impact of pantomime on Roman literary culture and of controversial and little-understood features of Senecan tragedies.